Lexmark China Acquires Xiexi in Q1 2018. Lexmark's acquisition of Xiexi Q1, a major customer, made a profit of only 400,000 yuan this year and reduced its shareholder's dividend by 4 yuan per share this year. XieYi (5356) Lexmark, a major customer, acquired the land plant and this year's performance plummeted. In the first quarter, it only profited by RMB 400,000. The impact was quite deep. The board of directors decided to reduce cash by 20% and return 2 yuan per share to shareholders. At 2 yuan, shareholders can reach 4 yuan per share this year. However, on Wednesday (2nd), the stock price is still heavily impacted, dropping the price at the stop price. In recent years, it has actively diversified its product line and customer structure. In the third quarter of last year, its Suzhou plant acquired Phoenix Optical in the Haikang Group and took a 56% stake in the optical lens market. However, the layout still needs time to ferment, Lexmark’s The loss of the bill will have an immediate impact on this year's results. The company has assessed that this incident will affect the scale of this year's performance of 30-40%. Xieyi’s profit in the fourth quarter of last year has dropped significantly, with a single quarter EPS of 0.41 yuan, a year after tax of 468 million yuan, and an EPS of 3.64 yuan. Due to the company's distributable surplus of more than 2.55 billion yuan, more than two share capitals, and good dividend yield, this year, a 2 yuan cash dividend will be allocated, and 2 yuan will be returned to the shareholders. The shareholders will receive 4 yuan in cash per share. Reduced to 1.03 billion yuan. However, the capital market is still the first heavyweight. 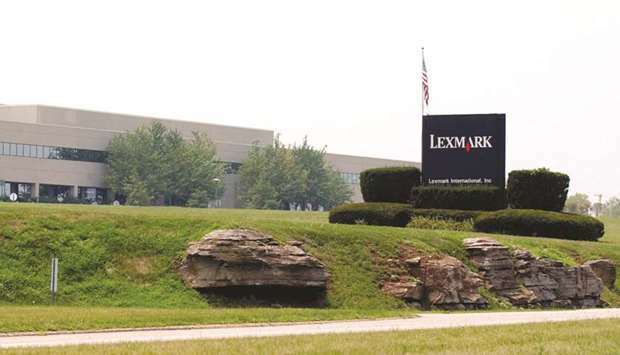 This year, it was affected by the change of ownership structure of Lexmark. The first quarter revenue was 1.737 billion yuan, a year-on-year decrease of 19.9%. In its announced first quarter profit, after tax was only 400,000 yuan, EPS was 0. Yuan, which caused the share price to fall short and break the bottom, reached the limit of 34.75 yuan. According to the announcement, Lexmark acquired the Apex Epak, a land company, and currently holds indirect shareholdings of more than 51%. Apex was renamed Ninestar Corporation last year.